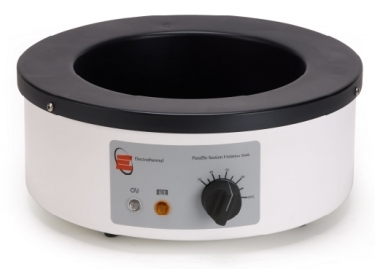 Electrothermal have added the MH8517 Paraffin Section Flotation Bath to their range, designed to help with the handling of paraffin wax samples for applications within histology and pathology laboratories. The design is essentially a hot distilled water floating out bath which permits meticulous manipulation and location of sections onto glass slides. The MH8517 has improved heat up times. A stable 45°C using 2.25 litres of water can be achieved within 40 minutes. Another improvement is the accuracy and stability. These have been improved as the control has been changed, now enabling the operator to set the temperature, rather than arbitrary power. This helps reduce the risk of overheating sections. With a PTFE black interior and powder-coated aluminium exterior, the Electrothermal MH8517 is almost maintenance free and simple to clean. A lid can be supplied additionally, using part number AZ9241.